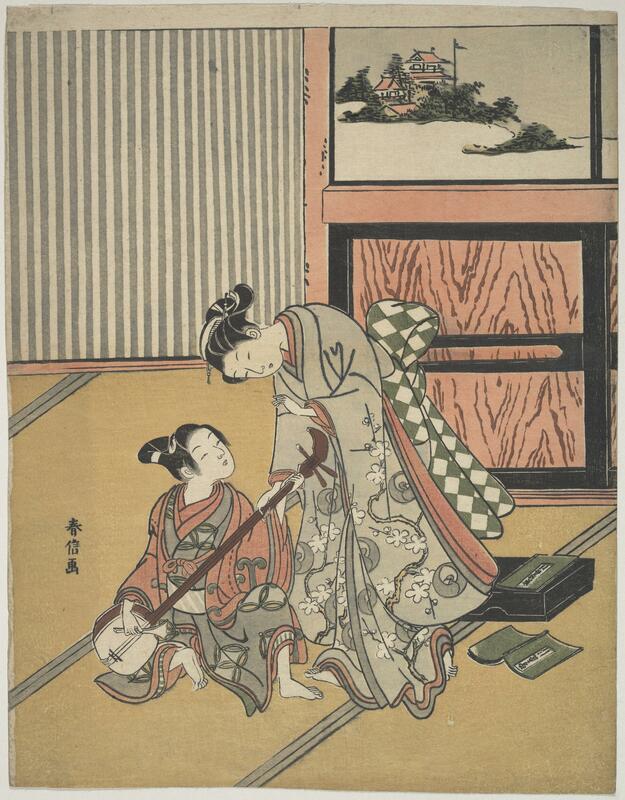 Image credit: Suzuki Harunobu. The Music Lesson. Edo period. Image courtesy the Metropolitan Museum of Art. Browse by geography to choose countries in Asia, then choose a classification (e.g. Paintings, Sculpture, etc.). Browse collections specializing in Asian art (e.g. Southeast Asia Visions: John M. Echols Collection), or browse museums with encyclopedic collections (e.g. The Metropolitan Museum of Art) by classification, then by countries in Asia. Use the asterisk (*) when keyword searching to truncate your terms and retrieve variant endings (e.g. buddh* will retrieve buddha, buddhist, buddhism, etc. Try these sample search terms to find images related to Asian studies. Don't forget to use the search filters to narrow your results. Artstor shares several collections that document important religious sites and architecture throughout Asia. These include: the Mellon International Dunhuang Archive (Buddhist cave shrines in Dunhuang, China); Shuilu’an Temple (Northwestern University)(Buddhist sculpture at Shuilu’an Temple in Lantian, China); Deepanjana Danda Klein and Arno Klein: Cave Temples at Ellora, India (Buddhist, Hindu, and Jain cave shrines in Ellora, India); Beyond the Taj: Architectural Traditions and Landscape Experience in South Asia (Cornell University Library); and Getty Research Institute: Carl and Jennifer Strom: Korean Buddhist Monasteries. For the Dunhuang caves and Shuilu-an Temple, Artstor offers scholars and students unique visual documentation of the sites with high resolution digital photography and 360-degree virtual reality panoramas.